When we talk about Craftsman tool reviews, we tend to think more about the news. In particular, the 2017 news that Stanley Black and Decker owns Craftsman tools. What that means for the Craftsman brand, no one knows. What we do know entails a stiff climb for Craftsman tools if they want to get back on top of the consumer market. There have been some solid performers like the Craftsman Nextec right angle impact driver. As for modern tools, the Craftsman C3 drill/driver is a bit dated and could use a refresh. Craftsman conductive charging may be something to keep an eye out for. 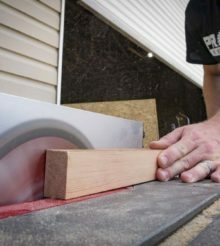 While we don’t recommend a lot of Craftsman tools for Pros, our Craftsman tool reviews may be helpful when you want a tool for a short period of time. Until Stanley Black and Decker decides the fate of Craftsman we won’t know exactly what to expect.